The clutch has a magnetic closure and two inside pockets. 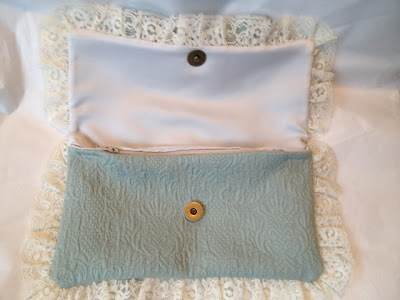 One pocket zippers closed. 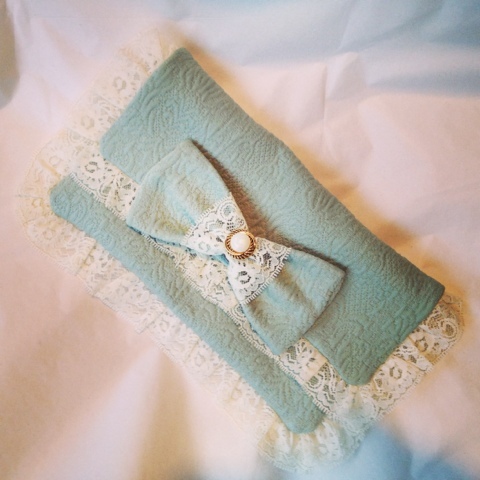 I used a really nice textured sea-foam teal fabric with vintage off-white lace. 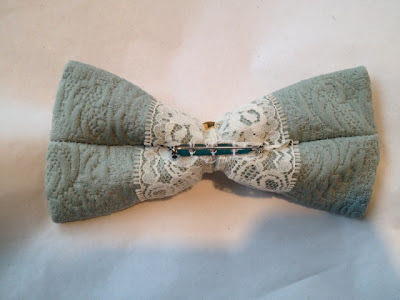 The teal fabric was originally a square sample of special-order home decor fabric. The inside lining fabric is a very light silver-grey satin (leftover from my Warcraft costume). 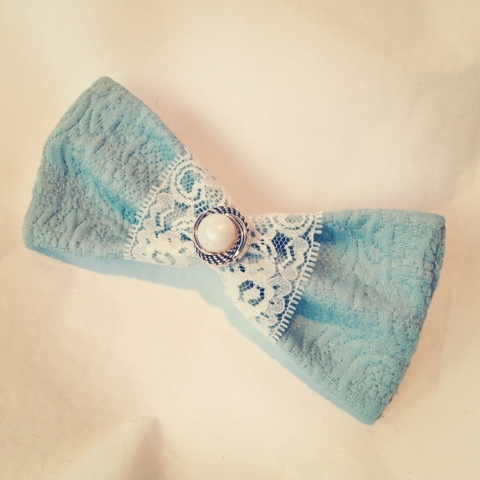 The bow is a detachable pin!